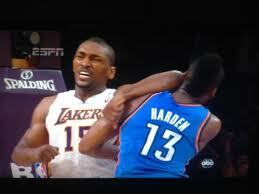 NBA player who legally changed his name to World Peace shows continuing penchant for violence. Irony DIES. Every time. Again and again and again.